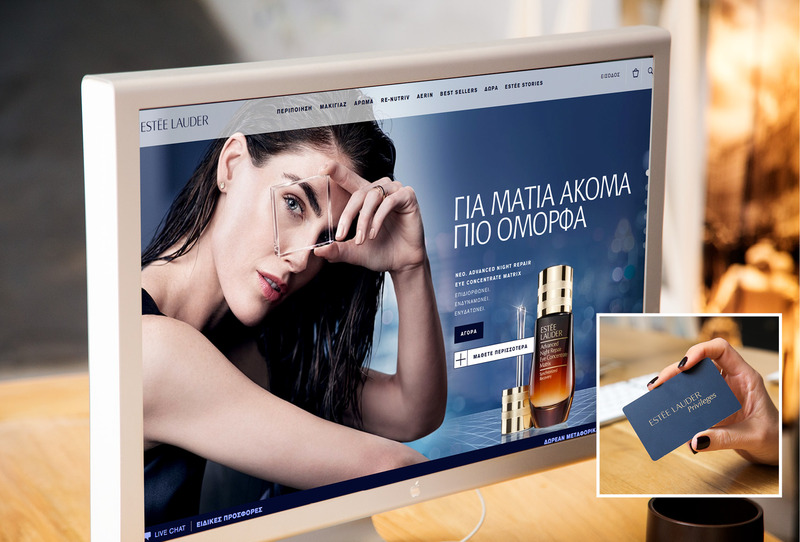 Estee Lauder e-shop in Greece! Buying your favorite Estée Lauder cosmetics in the comfort of your office or home any day and time you want is just great! Even better is the time when you receive the luxury package with your purchases! The new online shop of Estée Lauder is a fact and I am sure you are going to be very excited about it! I visited Estée Lauder’s new e-shop immediately after I heard the news in the office to find out that it is a very easy and user-friendly platform. A move worthy of the brand image, which I’m sure every woman will love. The categories of products for care, makeup, perfume – Aerin Lauder fragrances, the best- seller products, the top re-Nutriv care line or gifts for this Christmas season – are clear and you can easily choose what you are looking for. Also, the information that comes with the products is great and along with the videos and photos they can tell every woman ideally to choose what really suits her. I really liked the Estée Stories section, which works as a blog where one finds out interesting brand stories, news about company models, and how to videos. And best of all is the section of the Privileges Club allowing consumers to register as Loyalty Club members and collect points with their purchases in the e-shop, which they can then be redeemed when making a purchase. Just perfect! www.esteelauder.gr offers us the possibility to buy from all the devices (the computer, the tablet or even our mobile) and the dispatch of the products is absolutely free. Delivery takes place in one working day in the Attica region and in 2-3 days in the province, and along with the products you have purchased, you receive free samples. I really recommend you to visit it, navigate through and read what you want to know for the Estée Lauder cosmetics that suit you and then decide to make your purchases in the most cool environment at the time you feel like it!